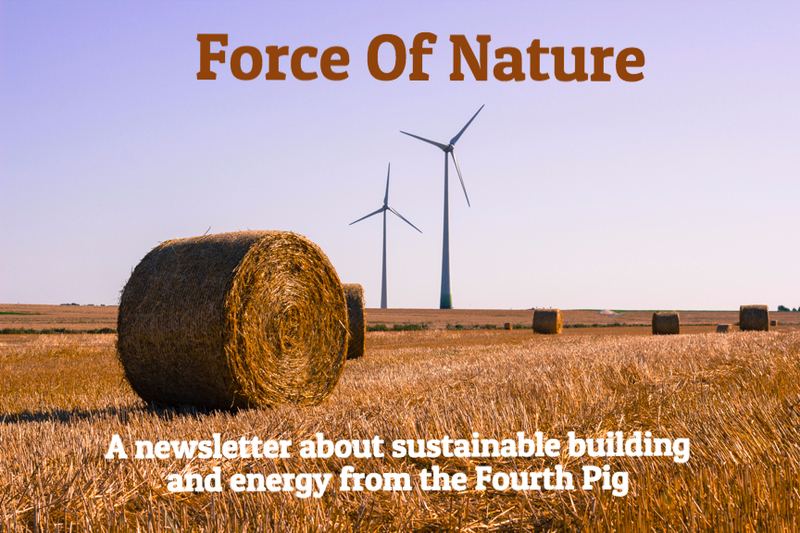 We are passionate about sustainable building and like to share the stories we are reading with the world through our newsletter Force of Nature. Our most recent edition features a few stories about the Living Building Challenge plus events and more. Recently stories about the Living Building Challenge have been popping up, probably a good sign for one of the world's toughest building standards, and we have three Living Building Challenge stories here. 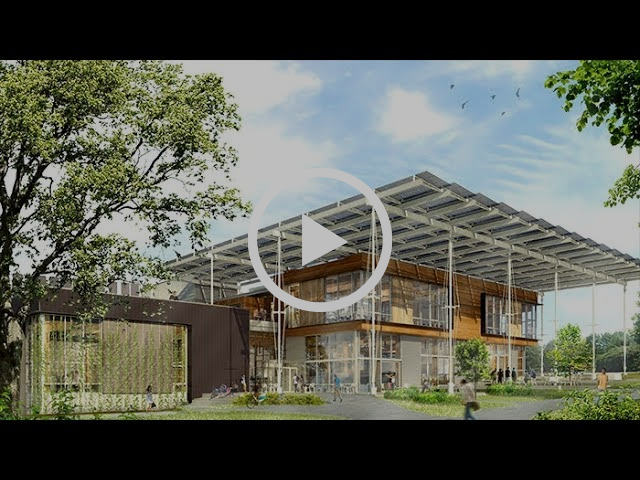 We also have video on a Passive House affordable housing project (that we are proud to have worked on), an exciting event announcement and more. The Kendeda Building for Sustainable Innovative Design at Georgia Tech is under construction and will be picking up some Living Building Challenge petals. Daniel Matisof, associate professor at the Georgia Institute of Technology, reported that Georgia Tech will be pursuing certification. "A new certification program inevitably involves increased challenges and costs associated with documentation and verification of performance. Significant investments in human knowledge and know-how need to occur in order to reach certification. By laying out a path to achieve Living Building certification, Georgia Tech can reduce costs for future adopters and increases the probability that other organizations undertake similar efforts," said Matisof. In the fall when the Fourth Pig was tabling at an event there were a few exhibitors with composting toilets and we asked them about how the venting worked with a Passive House and they weren't sure. Now, as Lloyd Alter reports in TreeHugger, the issue has come to, ahem, a head. The Nuthatch Hollow building at Binghampton University is small but dreams big. As Alter says "They are trying to certify the building for both Passive House (PHIUS) and Living Building Challenge, and the two programs don't always play nice with each other. . . it is a little building, a lab and a multifunction room and some washrooms. But in the Living Building Challenge you can't have regular washrooms; you have to process all your waste on site, so many LBC buildings have composting toilets. These Clivus Multrum composters require lots of air to keep them from smelling, but Passive House buildings control the volume of air. So they have to put Heat Recovery Ventilators on the exhaust for the toilets and treat them as their own little separate world. (I asked why they couldn't run the toilet exhaust through the main HRV and was told that they were using ERVs or energy recovery ventilators, which can leak a bit.)" There are also issues of materials that can and cannot be used in the Living Building Challenge and the challenge of getting what is needed for Passive House. Hats off to Ashley McGraw for the marriage of PH and LBC! According to Youris.com, Latin America is turning to bio-materials in buildings. Citing a recent study, Youris.com says "Brazil, Mexico, Colombia, Chile and Peru have carried out different measures ranging from relevant tax cuts to soft loans for sustainable construction." As readers know bio-based materials, such as straw bales, can sequester carbon and are highly sustainable. 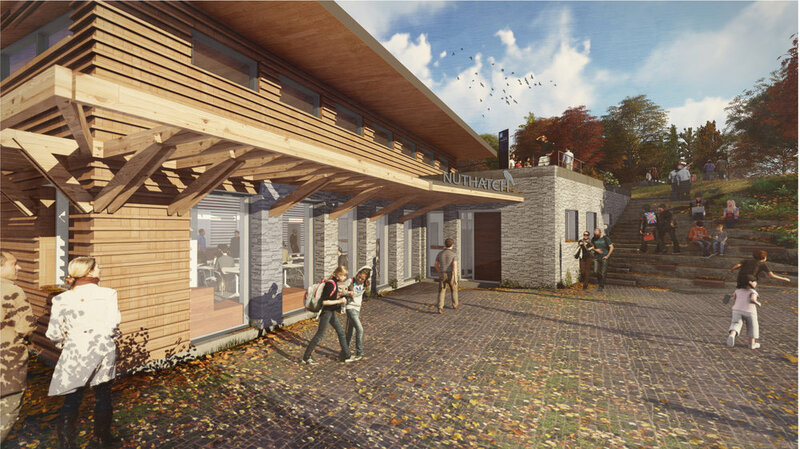 Projects in Latin America have ranged from straw bale to "super-adobe" earth bag buildings. Save the date! September 11 in Toronto come hear Chis Magood in a free talk: "How Buildings Can (Help) Save The World"
Climate change, indoor environment quality and ecosystem depletion are three major issues for the building industry and Chris Magwood has spent his career working toward practical, affordable solutions. Come and learn how the answers to these pressing concerns overlap nearly perfectly, solving any one of these issues conveniently creates solutions for all three. 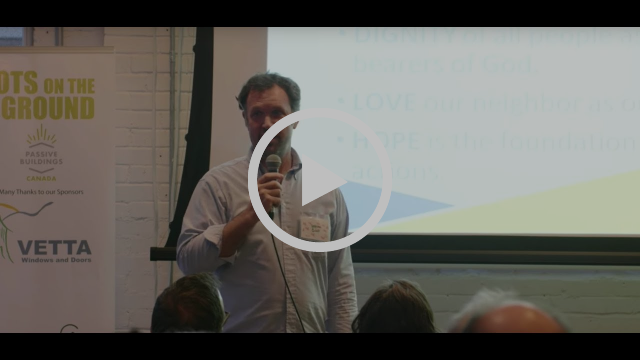 Chris Magwood is currently the executive director of The Endeavour Centre, a not-for-profit sustainable building school in Peterborough, Ontario. 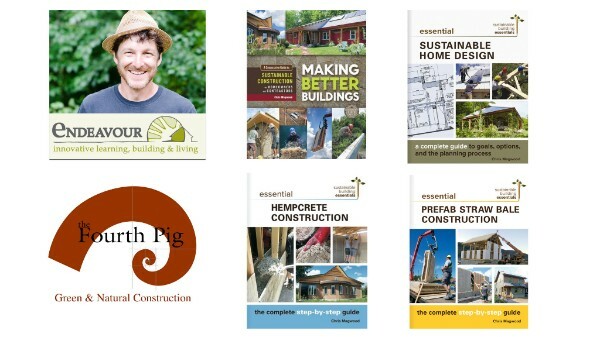 He is co-editor of the Sustainable Building Essentials series from New Society Publishers, and is a past editor of The Last Straw Journal, an international quarterly of straw bale and natural building. This talk is part of the Fourth Pig's speaker series "Pig Tales"
Don't forget that great places to check for environmental workshops and educational opportunities include: People and Planet Calendar, the Green Building Council, Flemming College, the Endeavour Centre, the Kortright Centre for Conservation, Passive Buildings Canada, Algonquin College, and Oakanagan College.